Cows are revered in India, where the majority of the population is Hindu, and the slaughter of cattle is a sensitive issue. The discovery of cow carcasses in Uttar Pradesh, the nation's most populous state, resulted in violence and bloodshed in early December. 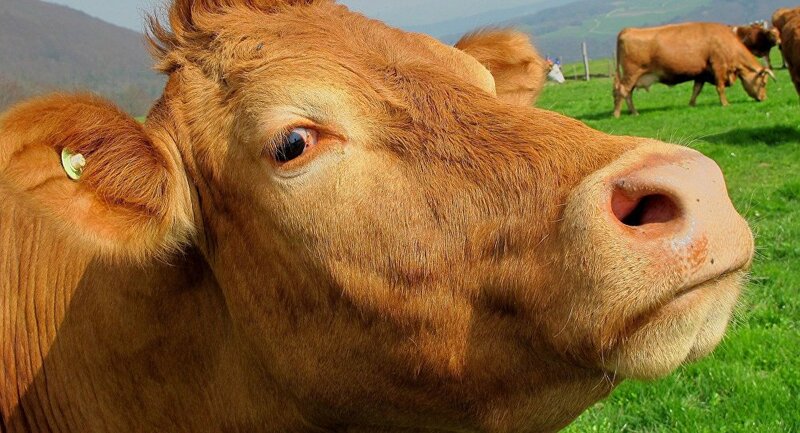 The discovery of the carcasses of six cows in Bhogpur, a village in the state of Uttar Pradesh's Aligarh district, has refreshed the memory of the violence that ensued following the discovery of 25 cattle carcasses near a police post in Uttar Pradesh in December. Dealing with cows is an extremely sensitive issue in the Hindu heartland of India, and the carcass of a slaughtered cow can spark mob rioting. According to media reports, police have swung into action and initiated an investigation into the incident to prevent more bloodshed. ​Cows are considered holy by Hindus in India, and their slaughter is banned in most Indian states. The bovines became a bone of contention between various factions within Uttar Pradesh after the right-wing Bharatiya Janata Party assumed power in the state in 2017. The state government under Yogi Adityanath issued an official order and moved to close down all illegal slaughterhouses immediately after coming to power in March 2017. "The incident took place along the border between Bulandshahr and Aligarh," said Gopal Singh, the Circle Officer of Kurja. "The carcasses were found in Chandaus in Aligarh. The matter is under investigation," he added. The Bulandshahr area saw cow-related religious violence last year after illegal slaughterhouses were found in the district. A mob of right-wing activists went on a rampage on 3 December 2018 after the discovery of cow carcasses in Bulandshahr, Uttar Pradesh. The mob torched dozens of vehicles, clashed with police and killed one police inspector.